One day a year, we celebrate Mom and everything she does for us. Read the list below for just a few of the ways our downtown merchants can help make Mom’s day as special as she is. The Amber Feather has a number of fabulous accessories to make Mom even more stylish. Earrings, sunglasses, necklaces, and more can all be found at this downtown retailer. 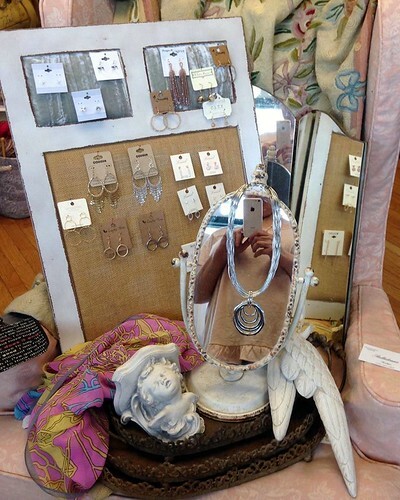 Belladonna’s has a new look, as well as even more beautiful clothes, jewelry, and accessories that any Mom would love to receive. 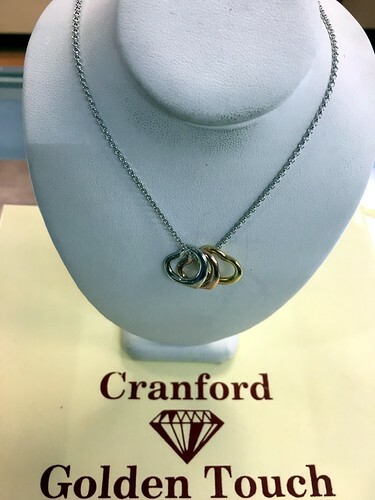 Golden Touch Jewelers has a great selection of Mom-approved jewelry pieces, including this necklace with tri-color hearts. On the search for fun or fashionable gifts for Mom? Then a stop at Augusta Mae is in order. 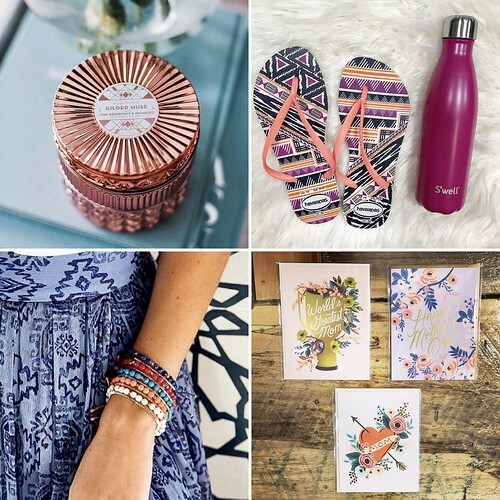 Anthem has a number of gifts for Mom, including havaianas + S’well bottle for the warm weather loving mom, Mother’s Day cards from Rifle Paper co., Power gem bracelets from Gorjana, and candles from Capri Blue. 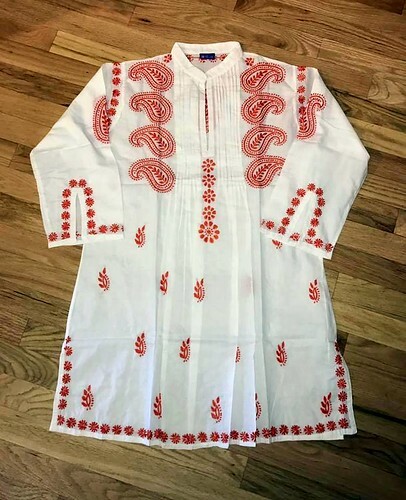 Fair trade hand embroidered tunics and scarves, the perfect addition to Mom’s spring wardrobe, can be found at Simply Art and Framing. 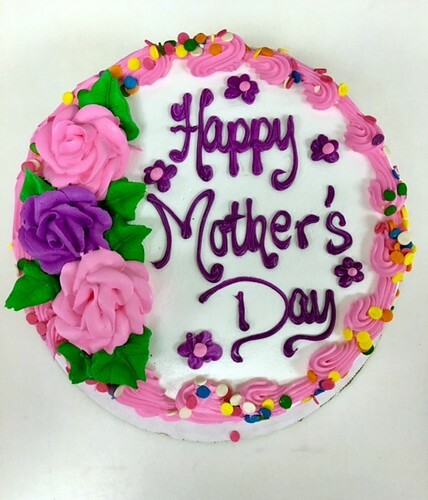 Vanilla Bean Creamery has beautiful cakes for Mom’s special day. If you’d like a custom cake, like the one pictured below, just make sure you order it before Mother’s Day. And Vanilla Bean is also the place to stop by if you’re looking for ice cream cakes for communions, birthdays, graduations, or any other special occasion. 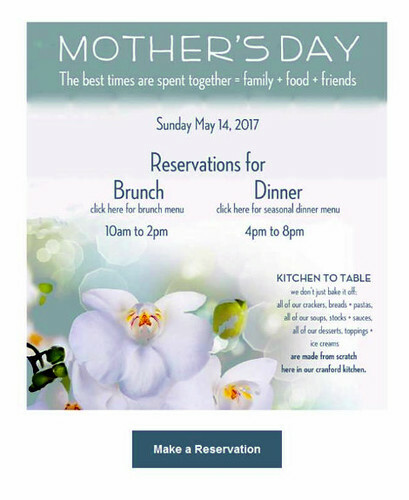 Renowned restaurant Pairings is currently taking reservations for its Mother’s Day brunch and dinner. And remember – it’s byob! 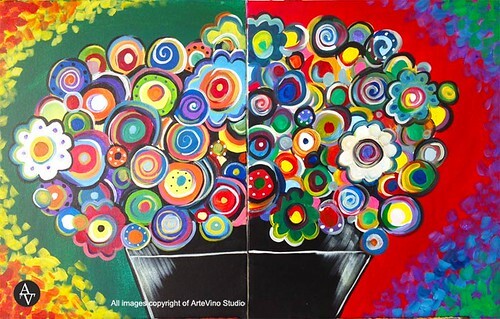 ArteVino will be offering several Mother’s Day themed painting classes on May 14, including Vibrant Bouquet and Mother and Baby Giraffe. Gift certificates also make a great gift. Hot Yoga Revolution will be holding a Mommy & Me Mini-Yoga Retreat on May 13. This is a wonderful opportunity for mothers and children to connect, relax, and have a truly memorable experience. 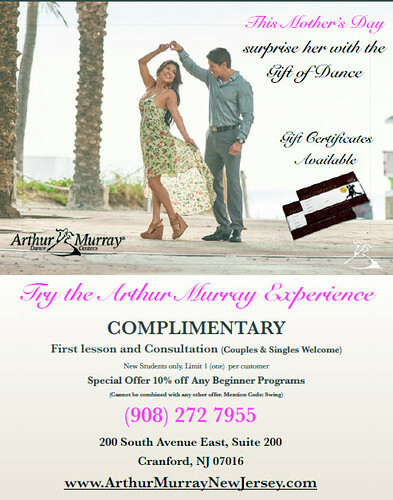 Surprise Mom with the gift of dance by giving her a gift certificate to Arthur Murray Dance Center. 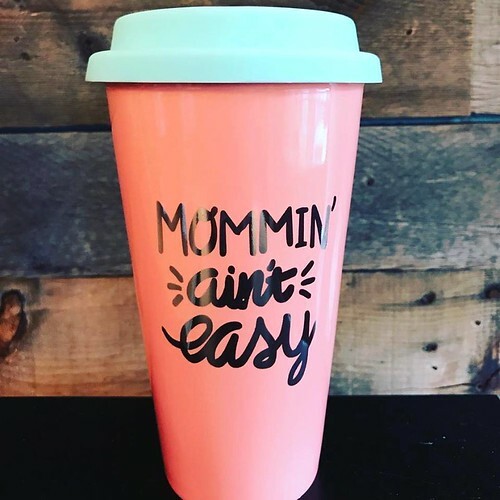 Ciao Amici has some wonderfully unique gift ideas for Mom. You can surprise her with a trip to Italy – you’ll get $300 off if you book by May 31st. Or what about a gift certificate so Mom can learn Italian? 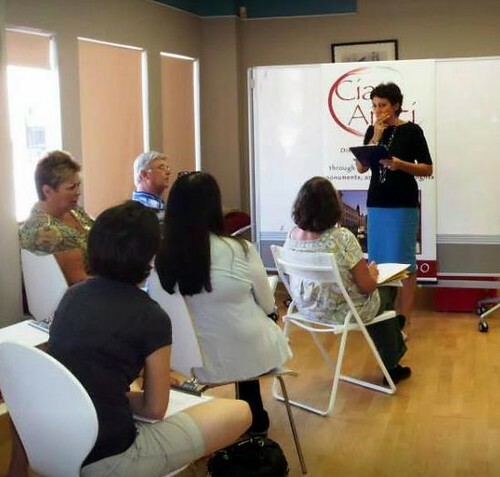 Other ideas include an evening of opera and a pasta making class, both held at Ciao Amici. 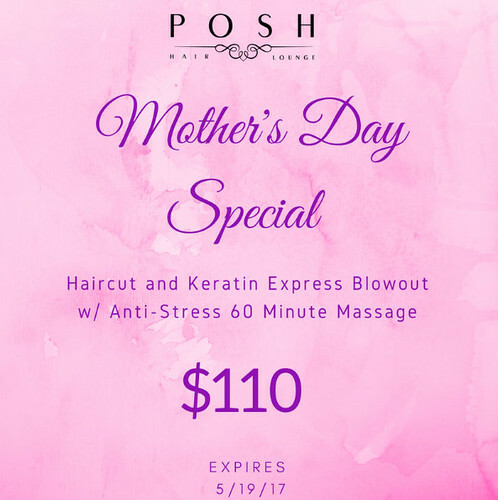 New downtown business Posh Hair Lounge will be offering a Mother’s Day special, where customers can get a haircut, Keratin express blowout, and massage for $110. 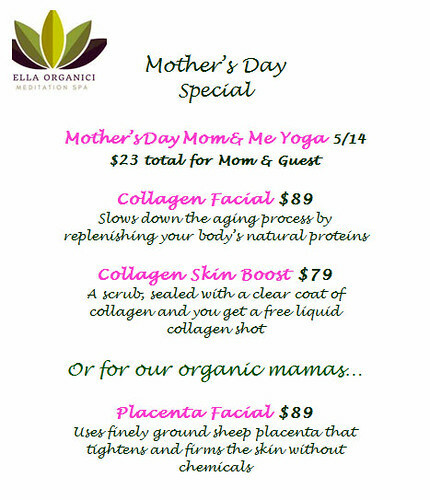 Bella Organici has a number of specials planned around Mother’s Day, including Mommy and Me Yoga and facial specials. 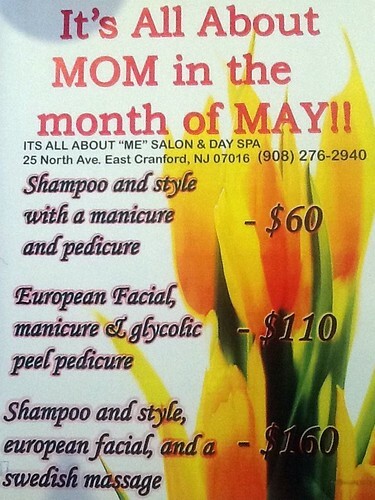 It’s All About Me Salon and Day Spa has a number of specials to help Mom look and feel her best. Next Dogs + Downtown = 2 Things We Love!